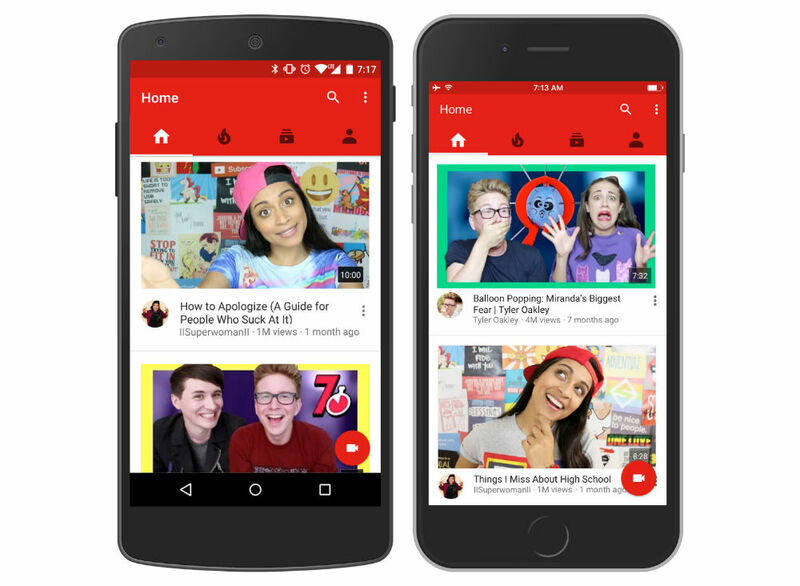 From today, users on Android and iOS will be treated to an updated Home screen experience when opening the YouTube app. While the overall layout does not appear to be changing drastically, users should notice larger video thumbnails while looking through search tabs, and YouTube details that its recommendation system has received a boost in intelligence. According to YouTube, the updated recommendation system is based on “deep neural network” technology, which means it can find patterns automatically to keep learning and improving as it continues to work. To put it more simply, if you watch a lot of baseball videos, you will see more baseball videos. As it is right now, users will always seem similar videos in the recommendations list, but a lot of that content might be years old. With this new system, YouTube’s goal is that recommended content will be much more fresh (newer). These changes are rolling out right now for all mobile users.